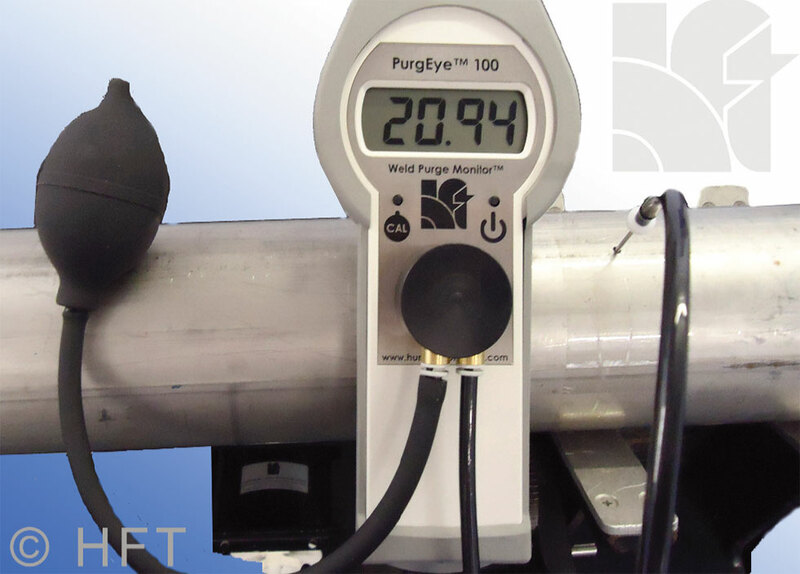 The PE-100 is an advanced instrument to detect the level of oxygen in purging gas to indicate when the oxygen content is at a satisfactory level to weld. The exact oxygen level is provided, thus preventing the excessive use of purge gas to ensure that the weld will be oxidation free. The monitor provides a continuous oxygen level readout during welding to detect unforeseen purge problems that can cause low quality welds. The monitor may also be used to check confined spaces for safe oxygen levels before personnel enter the area and while they are working. 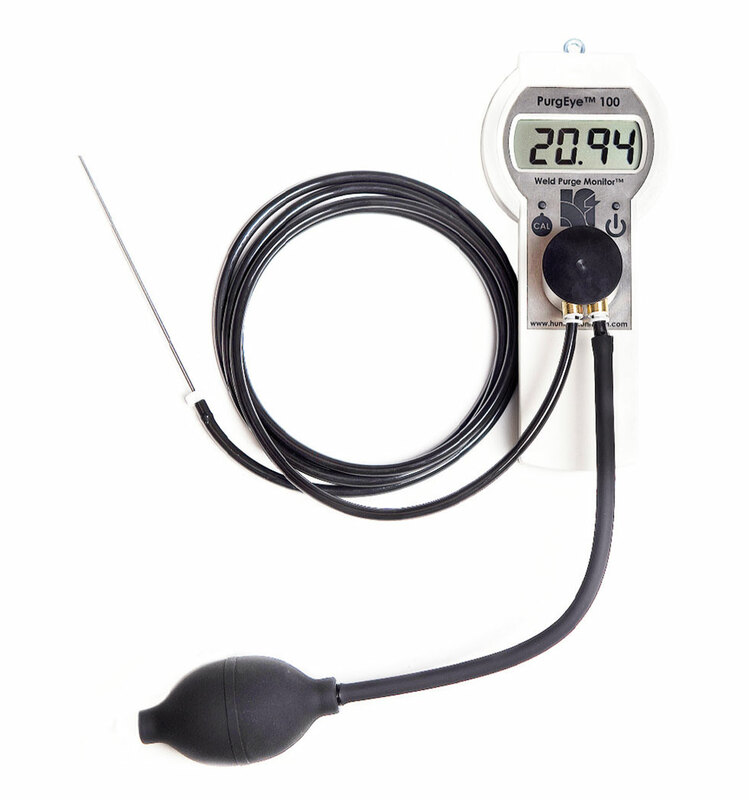 PE-100 has an innovative push button auto-calibration feature that allows the user to calibrate at atmospheric oxygen levels and again at the lowest oxygen reading for increased accuracy. PE-100 welding purge monitor in rugged carrying case includes: SS probe for sampling, two meter sampling hose, sampling bulb, carrying strap for neck or wrist, 2 AA batteries, and user instruction book.